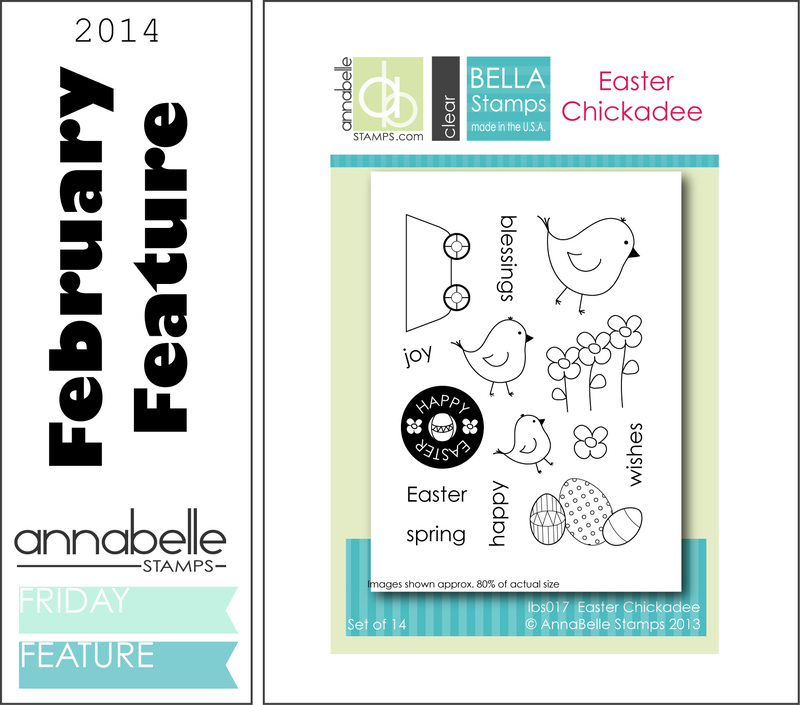 February Feature at AnnaBelle Stamps! Back today with this month’s feature set from AnnaBelle Stamps. How cute are these sweet Chickadees and guess what? The best part is that they have a matching die set! I needed some baby cards and this set is perfect, it makes me so happy when I can stretch my stamps and dies that little bit further. Thanks for stopping by today, you can find more inspiration at AnnaBelle Stamps Blog. 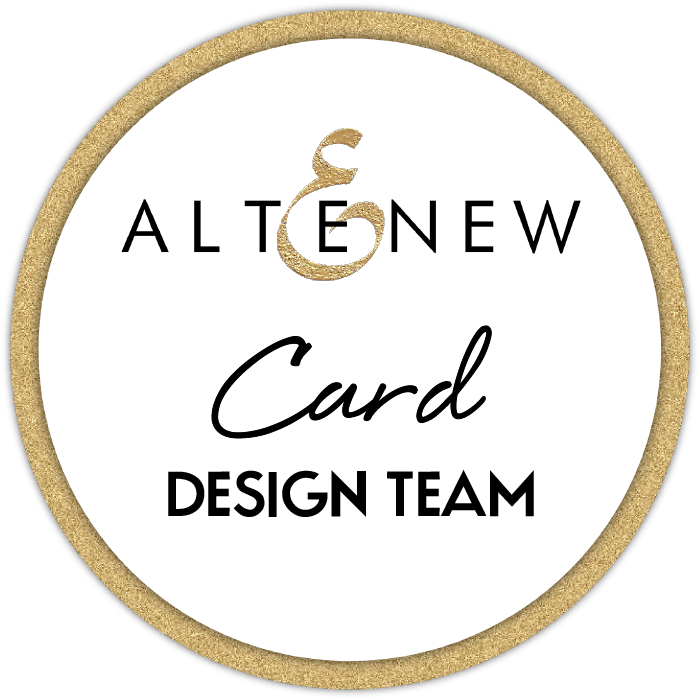 Also, don’t forget that you still have time to join our monthly challenge you can find all the deets HERE. < Previous Spread Happiness with some Challenges (video)! Next > You Brighten my Day at Purple Onion Designs (video)! What a great idea. I like the idea of using things for more than the intended. So cute. TFS. Very sweet indeed. I love the first one the best as it pops off the white cardstock, but both are really cute. So simple and sooooo cute! So sweet! 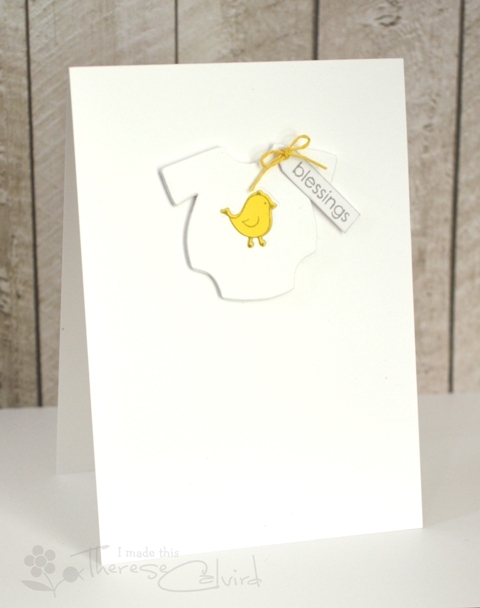 That onesie die is so cute and the chickadee is perfect! Such a darling card, Therese! Love your design so much and the color combo is beautiful!